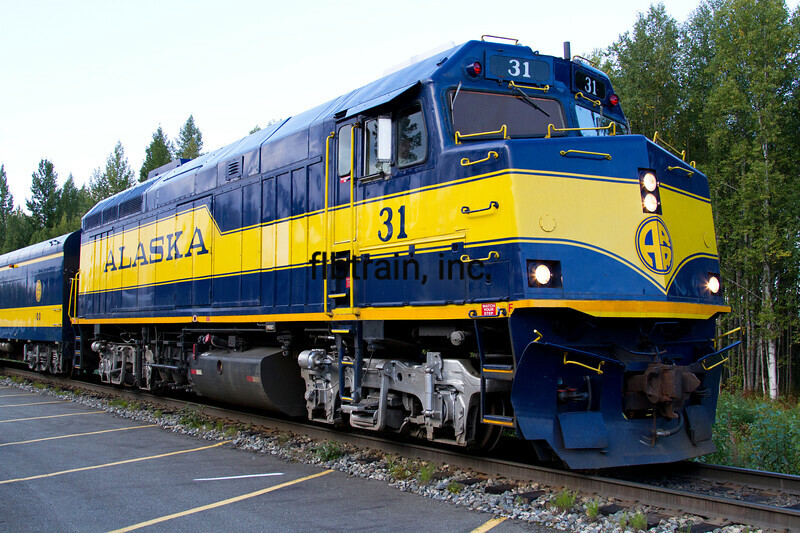 4-car Alaska Railroad Hurricane Turn arrives from Hurricane Gulch, Talkeetna, AK, 8/30/2015. Motors are Power Cab 31 with GP40-2 3011 shoving. Power Cab 31 is formeer Amtrak F40PH 244, HEP.